Evidence continues to mount for Infinity Ward’s all-but-confirmed Call of Duty: Infinite Warfare, which will seemingly launch on November 4 alongside Call of Duty: Modern Warfare Remastered. It’ll come bearing an overhauled solo campaign and 10 multiplayer maps, according to a retailer listing unearthed via Reddit. No word yet on which arenas will be included in this year’s remaster, but considering that Activision and Infinity Ward look set to stage an official reveal event at some point next week, we’ll surely find out exactly what Modern Warfare Remastered will entail sooner rather than later. Available in two SKUs, the Canadian listing embedded below pins the standard edition of Infinite Warfare at CA$79.99 (around $60 in USD). The Legacy Edition, meanwhile, bundles together Call of Duty: Modern Warfare Remastered for a total price of CA$109.99 (about $88 in USD). That being said, treat those price points with heightened caution until Activision officially takes to the stage in the coming days. 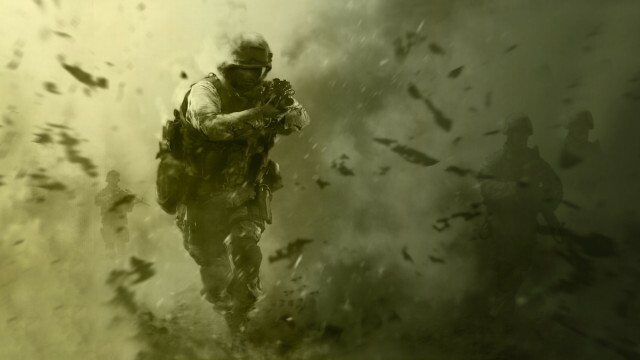 What we do know, however, is that Call of Duty 2016 represents Infinity Ward’s first foray at the franchise’s helm since the wholly underwhelming Ghosts three years ago. While Battlefield 5 is said to roll back the years in favor of a military-style WWI shooter, Infinite Warfare will seemingly embrace sci-fi by catapulting Call of Duty long into the future, replete with space combat and far-future weaponry. With a reveal seemingly set for next week – rubbing shoulders with DICE’s worldwide premiere of Battlefield 5 – expect official details to arrive via the horse’s mouth soon. 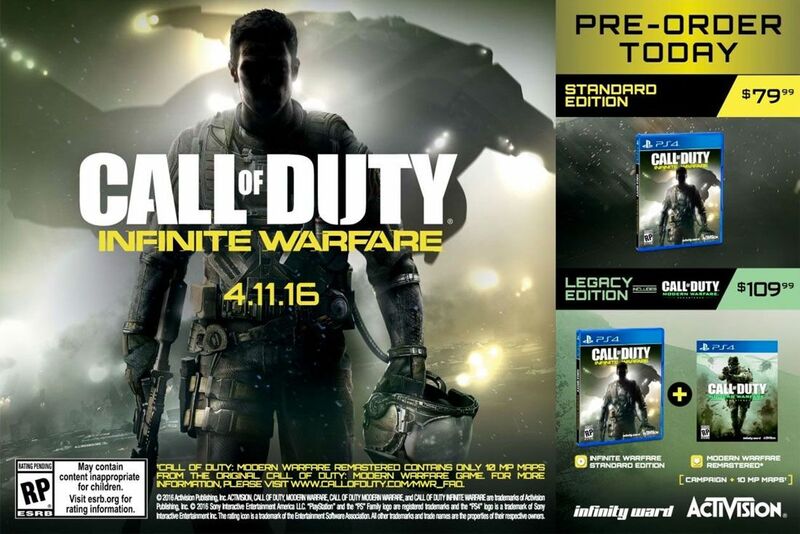 Until then, the purported screenshot for both Infinite Warfare and Call of Duty: Modern Warfare Remastered can be glimpsed below.